Candidates should hold a bachelor (undergraduate degree) certificate on bio-complex sciences (bachelor in medicine and/or medical doctor, dentistry, veterinary, pharmacy, nursing, nutrition, biology, and other related fields). Candidates must have a Grade Point Average (GPA) of ≥ 3.00 (scale of 0.00 to 4.00) from BAN-PT accredited study program. Candidates must have produced a scientific manuscript. Candidates must pass a psychology test or an interview conducted by the study program. Candidates are from the state or private university of equal or higher accreditation status (PMIB-FKUB has grade A accreditation). Candidates are from study programs of the same field of study in biomedical sciences. Candidates have not taken the feasibility test of thesis proposal and have been studied in the origin institution for no more than 2 years. Receipt of registration fee payment. List of requirements for new student registration (Daftar Persyaratan Pendaftaran Mahasiswa Baru). Completed application form (Formulir Pendaftaran Mahasiswa Baru). Latest color photo size 4×6. Legalized copy of undergraduate (bachelor) certificate. Legalized copy of academic transcript from institution of origin. Candidates from private universities must enclose the result of state examination. Copy of scholastic test (TPA-OTO BAPPENAS) certificate (two-year validity period). Copy of TOEFL (or equivalent) certificate (two-year validity period). A scientific manuscript after completing undergraduate program. Letters of academic recommendation from two qualified referees. Statement of health from a state hospital. Letter of Study Appointment from superiors (if the candidates are in employment) stating that the concerned individual is release of any institutional responsibility. For candidates who are lecturers of state and private universities, the Letter of Study Appointment is to be issued by the rector of university of origin. For candidates who are the employees of Health Department, the Letter of Study Appointment is to be issued by the direct supervisor, e.g., the director of hospital or the head of health department. Written statement of financial sources/support. Copy of identity card. For international student, KITAS from Immigration Office of East Java Province. Mengisi formulir setor tunai/transfer/multipayment (warna biru) dengan menuliskan “Pendaftaran Program Magister Ilmu Biomedik” di kolom berita pada slip setoran. Mengunduh ke-4 formulir berikut, kemudian diisi, di-scan, dan diunggah pada pendaftaran online pada langkah 4. 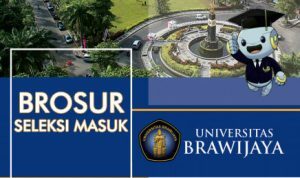 Melakukan pendaftaran secara online dengan melengkapi data-data yang diperlukan melalui situs resmi Seleksi Masuk Mahasiswa Program Magister Ilmu Biomedik Fakultas Kedokteran Universitas Brawijaya [http://selma.ub.ac.id/wp-app/pendaftaran/pasca_ub], dengan memasukkan PIN dan nomor pendaftaran. Candidate selection is done through psychology test and/or interview involving peer group consisting of the head of study program, secretary of study program, and experts recommended by head of study program. The decision on accepted candidate is made by the rector through the dean based on recommendation of the head of study program. The written notification (admitted or not) is sent to the applicant’s address. All candidates granted admission to the PMIB-FKUB must pass the matriculation program. The study program has also opened for the admission of overseas students under the UB regulation through International Office of UB. Please refer to the website (http://io.ub.ac.id/international-student-admission/) to register. Hold a bachelor (undergraduate degree) certificate on bio-complex sciences (bachelor in medicine and/or medical doctor, dentistry, veterinary, pharmacy, nursing, nutrition, biology, and other related fields), which is legalized by Indonesian Embassy in the home countries as well as by the Ministry of Research, Technology, and Higher Education of the Republic of Indonesia. Obtain a study permit from Directorate General for Higher Education, Ministry of Research, Technology, and Higher Education, Republic of Indonesia. Have a paper-based TOEFL score of ≥ 500.